There are many types of rodent repellents to assist any homeowner in ridding rats or mice away from their home. Several types of rodent repellents involve chemical solutions, however other types include ultrasonic devices and natural methods such as traps. Rodents can be found in gardens, under sheds, or even within walls of some houses. They bring diseases and annoyances into any household, but with proper rodent repellent techniques they can be eliminated. For a good rodent repellent to be fully effective, it must first remove existing rodents from the home, and then it must keep them away. For instance, ultrasonic devices will keep rodents away, however the sound does not penetrate walls and soft surfaces, so they are not the most effective method for initial removal. To remove rodents from your home, leaving out poison pellets for consumption is a good source for rodent removal. Several rodent repellent recipes exist from ingredients found in household products. Simple recipes such as using toilet bowl cleansers for poison control. Moth balls are another rodent repellent technique used. The strong vapors created from moth balls rid rodents from surrounding areas. The thought of spreading poison around a home can deter some people from using poisonous materials to rid it from rodents. Natural, organic rodent repellents are available for homeowners with children or pets that could possible ingest dangerous poisons. Using urine from a rodent’s natural enemies is a safe way to keep rodents away as well as rid them from the home. Using the urine from animals such as a fox, coyote, or bobcat will deter rodents from coming around your home, shed, or garden. The technique processes the urine from these animals and combines them into granular pellets that allow a homeowner to spread them around specific areas where rodents have access. It creates a safe, organic rodent repellent for residents. Other non-toxic rodent repellents are the use of mechanical traps. Mechanical traps remove the need for any type of chemical, and they give the homeowner a way to rid rodents quickly and with affordable methods. Many times, traps work overnight with a proper lure placed in the right position. The inexpensive rodent repellent also allows the homeowner to see the results, and it eliminates the chance the rodent may move to an inaccessible area of the house. One type of natural and safe rodent repellent technology is an ultrasonic device that will deter rodents from remaining around your home. The sonic sounds hinder the rodent’s desire to enter the home. The device sends a repetitive, high frequency sound that only is heard by rodents. It’s an effective and safe way to remove rodents from your home, garden, or any other problematic areas. Regardless of your method, rodent repellents are an important method in ridding unwanted rats or mice. 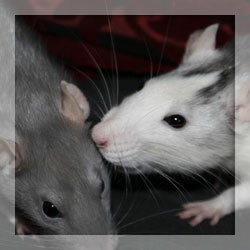 The diseases a rodent can bring into the home can affect children and animals or even you. Keep your home clean and use proper rodent repellents to permanently remove them in all areas of your residence.